Last year was officially California’s first as a recreational cannabis state, and also one of its most volatile under legalization. The Golden State’s transition from medical to adult-use marijuana resulted in $2.5 Billion in legal sales last year, marking a reported decrease from 2017 before the new laws kicked in. In addition to having to face challenges presented by a ever-evolving regulatory framework, retail owners still have to figure out ways to get customers through the door. This comes down to marketing, which means retailers must also be up to speed on what can and cannot be done to legally market their dispensaries. 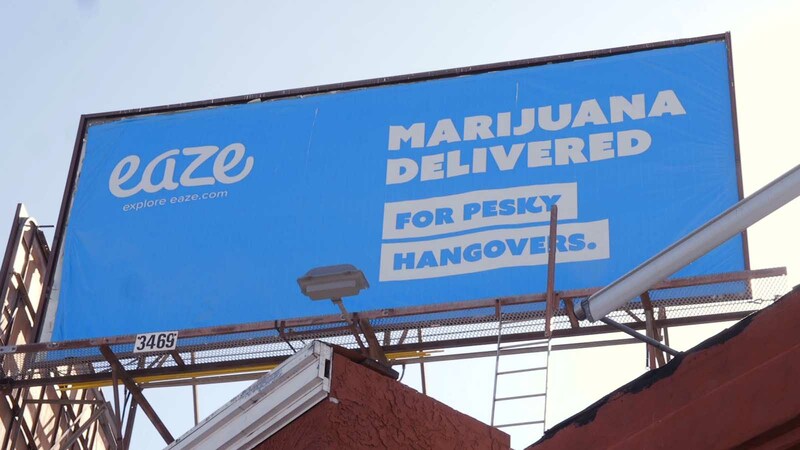 In this post, we dig deeper into the cannabis advertising and marketing restrictions in California, and share 4 creative ways that retailers can market to their customers. Keep It Honest: It’s illegal to advertise or market cannabis in a manner that is false, untrue, or misleading. Companies are not allowed to publish or disseminate advertising or marketing that contains statements that are inconsistent with product labeling. It’s also illegal to use marketing to create the impression that cannabis originated in a particular place or region, unless the product bears an appellation of origin. Keep It In-State: Cannabis companies are not permitted to advertise or market on billboards located on an Interstate Highway, or on a State Highway that crosses the California border. Keep It Away From Kids: The law prohibits advertising or marketing that encourages persons under the age of 21 to consume cannabis or cannabis products, or in any way that is attractive to children. It’s also illegal to advertise or market cannabis products within 1,000 feet of a day care center, K-12 school, playground, or youth center. Despite several incidents last year in which many cannabis companies had their accounts blocked or deleted, social media remains an effective tool for marketing and advertising cannabis dispensaries. Social media’s ability to help companies engage directly with fans goes a long way towards building brand loyalty, but because the competition is fierce and there are limitations to what can be done, cannabis retail owners will have to be intentional when marketing on social media platforms. Using your dispensary to host in-store events puts you face-to-face with customers. Hosting demo days gives brands the chance to interact with customers directly and talk about their products, and including same day promotional discounts or other special offers can help motivate customers to spend on the spot. California’s transition from a medical to a recreational market means a lot of people are thinking about trying cannabis for the first time. Hosting a cannabis basics workshop can provide valuable education to that demographic. Reach out to churches and other community organizations to hold roundtable discussions that address people’s questions or concerns about cannabis. These and other similar events are great opportunities to build relationships with your local community. Cannabis brands carry the heavy burden of having to gain consumer loyalty by building brand awareness. As more licenses are awarded and dispensaries continue to open, competition will just get tougher, so retailers will have to find ways to stand out. Branded apparel, tote bags and other accessories can help build brand loyalty. Broadening your inventory to include branded pipes, rolling papers and lighters are easy upsell opportunities for your staff, with the added benefit that your retail shop will emerge as a fleshed out brand. Providing stellar customer service in a clean, inviting environment will go a long way to market your shop through one channel you can count on: word of mouth. Everything from how your dispensary is merchandised, to how well your staff is trained, to the efficiency of your store cannabis POS system impacts the consumer experience. Each customer represents a chance to demonstrate what your brand is all about, so make sure that every minute of the customer interaction is pleasant from the moment they show their IDs at the front door. Looking for more tips on how to market your cannabis retail business? Subscribe to our newsletter today! There is no bigger holiday for cannabis consumers than April 20.